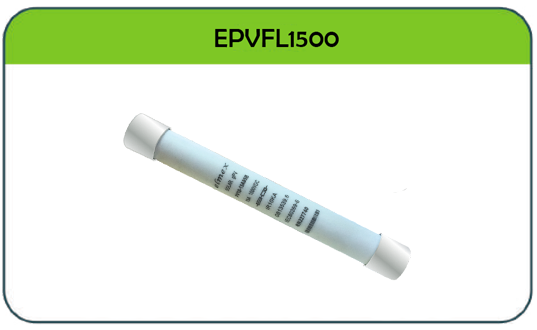 elmex PV Solar Fuse Terminal Block EPVFH1500 is suitable for photovoltaic application & applicable for string protection. It is designed for use in connection for photovoltaic devices like DCDB, Inverters, String Combiner Boxes, etc. which is used for rooftop or ground mounted projects. The fuse terminal block is constructed as per standard IEC 60269-1 & are suitable for cylindrical gPV fuse size ø 10 X 85 mm. Note: It is recommended to usegPV (cylindrical) fuse of ø 10 X 85 mm dimension. elmex gPV Fuse Link suitable for 1500V DC photovoltaic applications.